Time To Muxic with Xplay!!! TIME TO MUXIC WITH XPLAY IS BACKKK!!!!! 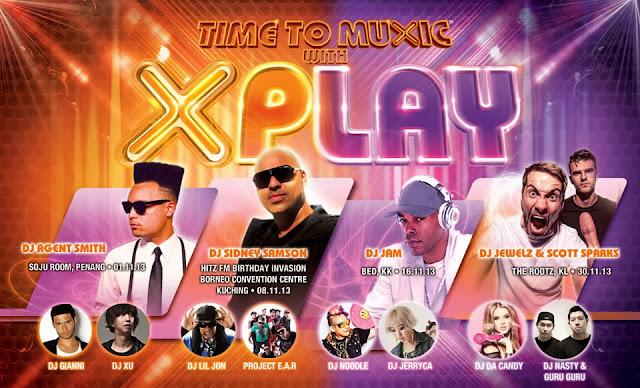 ….so lets get ready for Time to Muxic with Xplay 2013! 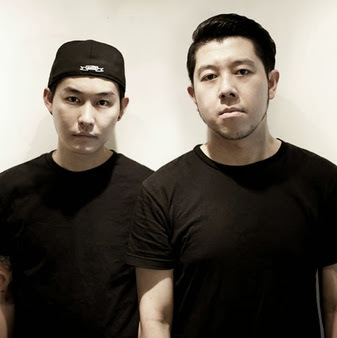 The Time to Muxic with Xplay 2013 will be held all November in Penang, Kuching, Kota Kinabalu and Kuala Lumpur!!! The hottest synced beats ‘n’ light, cutting edge live performances, together with a host of international DJs will all be here! So, how to get the passes? Very simple. All you have to do is register at www.xpax.com.my and stand a chance to get 2 free passes, so hurry & go register now!!! So… when is it? 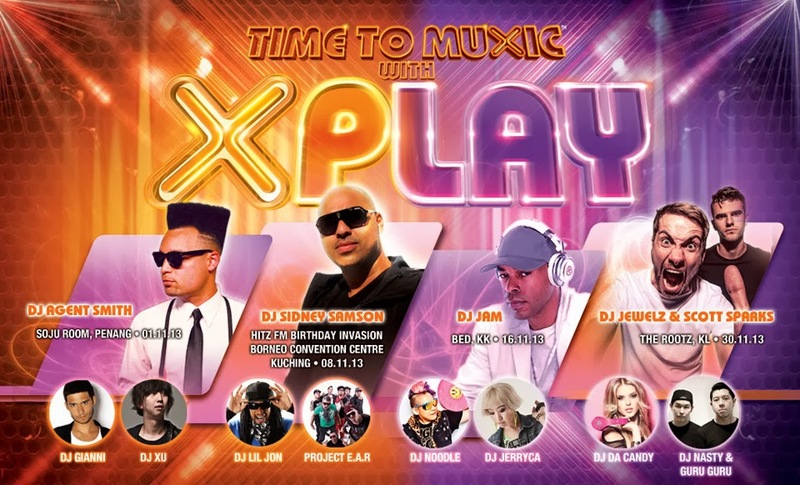 The Time to Muxic with Xplay 2013 will be on all November – and this time it returns with more action and more bang than ever before in four cities. Xplay will be pumpin’ it up at Soju Room, Penang on 1st November with DJ Agent Smith, DJ Gianni Marino from Amsterdam and our very own DJ Xu., then on the 8th will be in Kuching with DJ Sidney Samson… DJ JAM will be on the following week 16th November at Kota Kinabalu… and the party scene comes to KL at Rootz on the 30th with DJ Jewelz and Scott Sparks!!! Let me remind you what the best part is….. Passes are free! 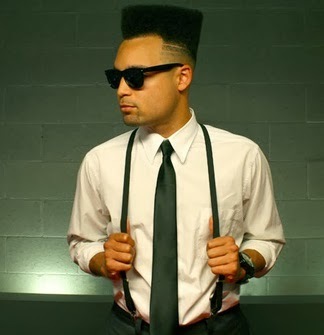 Go register at http://www.xpax.com.my/xplay2013 and get your FREE passes NOW!!! can i get the free pass?